Sierra Nevada Brewing Company has come a long way from its modest beginnings in the Chico, CA kitchen of co-founder Ken Grossman. Since 1980, the brewery has infused creativity and passion with premium ingredients and traditional brewing techniques, making them one of the most recognized and respected craft brews in the country. 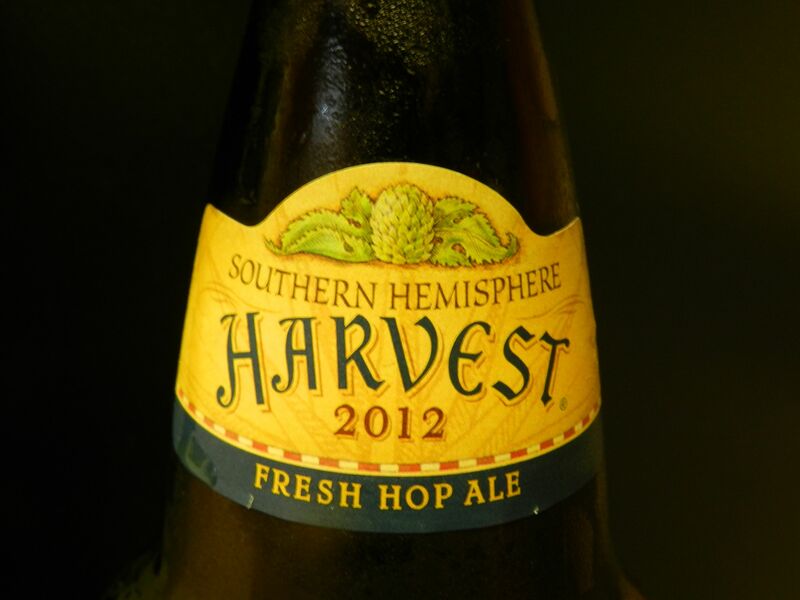 The 2012 Southern Hemisphere Harvest Fresh Hop Ale captures Sierra Nevada’s trademark hop-heavy taste while displaying the company’s clever brewing practices. Hops are like any other plant, they don’t grow year round. So, in order to remain true to their standard of using the freshest ingredients, Sierra Nevada went south of the equator to harvest crisp, New Zealand-farmed hops. They even took the liberty of flying them to Chico to ensure they made it to the brew kettle the very same week they were picked. Hoppy from start to finish, Southern Hemisphere Harvest showcases the blend of New Zealand Motueka, Southern Cross and Pacific Hallertau hops. The blend creates a refreshing mixture of both bitterness and spice that goes down smoothly. The amber color of the beer is accompanied by the pungent aroma of those little green flowers that put smiles on hop-heads’ faces. At 6.7 percent alcohol, Southern Hem. Packs more of a punch than Sierra Nevada’s flagship beer, Pale Ale. However, at $5 for a 24 ounce bottle, fans of the Pale Ale will find this to be a good change of pace. Drink up, this beer is always in season! ~ by J. Ruiz on June 11, 2012.